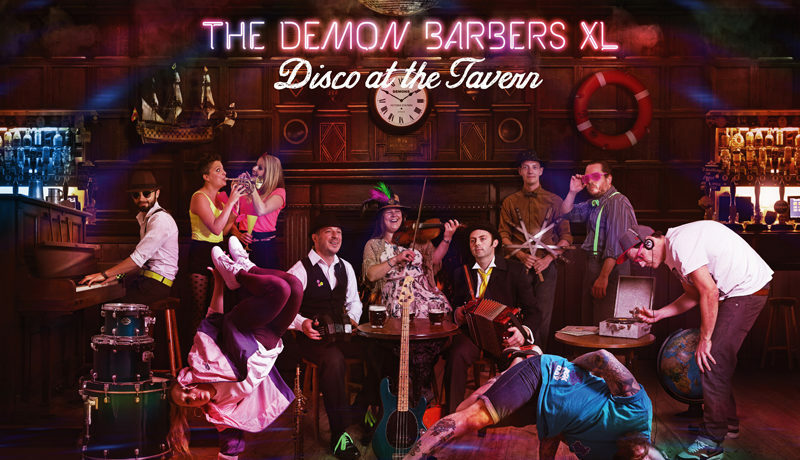 Renowned for their subversive no-holds-barred approach to their live shows, The Demon Barbers return to the concert stage with a new repertoire, extra band members and a modern twist to their multi-award winning roadshow. Since winning ‘Best Live Act’ at the BBC Radio 2 Folk Awards, The Demon Barbers have been immersed in the development of their Folk & Hip Hop Dance Extravaganza, ‘The Lock In’. Following successful UK tours, including high profile shows at Glastonbury Festival and 5 star reviews for their 2 week run at Edinburgh Fringe, The Demon Barbers now bring some of the UK’s most exciting young clog, sword, hip hop & break dancers onto the concert stage to create a true folk music and dance spectacular.